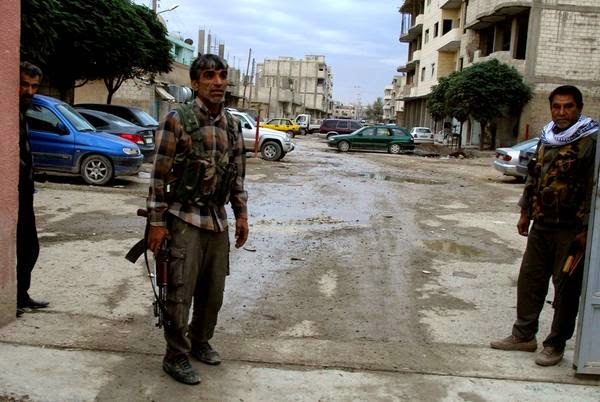 18 airstrikes on ISIL position in Kobane today destroyed 16 ISIL-occupied buildings. Today’s attacks bring the total number of U.S.-led coalition airstrikes against ISIL positions in Kobane to 39, CENTCOM reported. There are reports in the social media today that some ISIL insurgents, under heavy bombardment by U.S.-led coalition air forces, are fleeing Kobane toward Raqqa, the Islamic State's base in Syria. There are a number of roads ISIL elements can take in withdrawing towards Raqqa. Let's hope ISIL uses these maps to get out of Kobane entirely.